Clearwater River at the Mouth. This little river dumps out into the Queets river and is home to several species of Salmon and Steelhead. This little hidden gem is hardly even known by anyone other than locals but look out, the tribes hit this baby hot and heavy. When the fish are running, expect company. 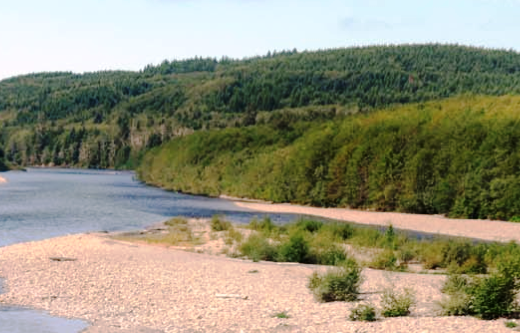 Salmon season on the Clearwater river generally runs from September to November. Daily limits are generally 6 salmon per day but only 2 adult salmon allowed per day. Steelhead 2 per day. see wild steelhead retention rules. Sand shrimp, and salmon eggs. Sand shrimp and salmon eggs! Hand to Hand. Eye protection recommended! Lunker Location Fishing maps are only available to Lunkersguide.com members. Sign up today and get access to all of our Salmon and Steelhead fishing location maps and to our free Lunker Alerts SMS/Text message fishing Alerts system which covers over 37 rivers in Washington. With a Lunker’s guide membership you’ll be well on your way to catching more lunkers!